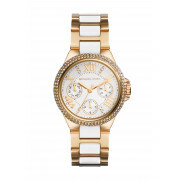 This Mini Camille watch is sporty with a glamorous feel as it’s made from mixed material of bright white and gold. The bezel and selected face numbers are encrusted with beautiful pave stones. Roman numeral appear on the face as well as three hands and three sub dials. 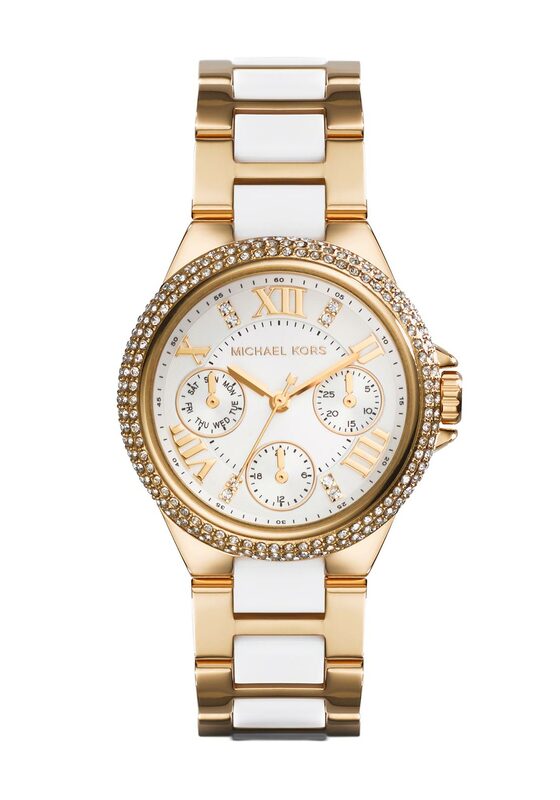 This watch is so feminine with its petite shape from Michael Kors.